Have you seen all your Specialty Credit Reports? Most of us know about the 3 main credit report bureaus – Experian, Transunion, and Equifax …but have you seen ALL your credit reports? Did you know that more exist and are referred to as specialty credit reports? 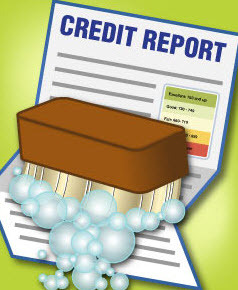 There are many other credit reporting agencies that report nationwide in specialty areas of credit. They are all required to make it easy for you to obtain a copy of any file they have compiled on you – or at a minimum provide a toll-free number that you can call and request your copy. Not all of them, however, are required to provide a free report. What is a nationwide specialty credit reporting company? They collect information on consumers’ medical records or payments, rental or residential history, checking account history, claims made on insurance policies, and/or regarding your employment history. They are just like the 3 main credit bureaus I listed above except that they gather information about you for potential landlords, certain creditors, companies reviewing your information for potential employment, insurance agencies, etc. Being a bankruptcy and consumer protection attorney, I know how important it is to rebuild your credit once we’ve gotten things straightened out. A huge part of that is reviewing what is being said about you now – is it even accurate? Are there still old things out there haunting you that shouldn’t be anymore? Has the bankruptcy properly updated the balances to $0 on items that were discharged? Don’t wait until you need credit to then take a look. Cleaning things up takes time.